I remember this.She blew it way out of proportion by using Airtime to address it. The man contacted her privately and addressed her in a respectful manner. Then she took so much offense to it that she labeled him a “bully” and wasted airtime to scrutinize him. Read the full message that he sent her, he was not abrasive and he was not mocking her. In fact, he was very mature in his verbiage. Personally I think it was unnecessary for him to say anything to her about her weight, and it was the boldness of it that struck her the hardest. I agree that he was out of line to try and place any responsibility on her for setting an example for others, but I disagree with her calling him a “bully” when he wasn’t. He did not cast aspersions on her in that message. For her to compare being overweight to being Black is foolishness. No one is born overweight. You do work to get overweight, overtime. You make poor choices in your diet, and you eat to satisfy a craving, rather than to nourish the body. That’s a fact. I empathize with her for feeling offended by his words, but they really weren’t offensive to begin with. What she should’ve done is addressed him privately, telling him that she is her own woman, and it is not her responsibility to be a role model for anyone but her own children, and that her weight, is her business. Does that sound like I’m putting you down? None of the man’s remarks were disparaging to her, she only perceived them to be offensive. And despite what we are told, perception is NOT reality. What we think things are has no bearing on how they actually are. Real bullying is abrupt and malicious. The intentional effort to hurt or humiliate someone. He did not intend to hurt her, because he did not cast any aspersions. And he did not intend to humiliate her because what he warned her of (obesity) is a legitimate concern, and he approached her discretely. It was she who decided to respond to him publicly, possibly in an effort to garner support. Are the hurtful, disrespectful, disparaging words that she spake about him count as “negative”? Or does spite make things acceptable? As a person who was overweight for nearly 3/4 of my life so far, I know that for some people who are fat it’s not a struggle, it’s just lack of discipline. I knew my choices were poor. I knew that my portions were too much. I knew I needed to get up and move around more. But I didn’t want to, I wanted what I liked and what I had a craving for. I knew my plates were too full, but in my mind I wanted more than an average amount. I used to say that it was a “struggle” for me, but in my heart I knew it only took action, will for me to get on the path to losing the pounds. So finally, after years of procrastinating, I said “I’m going to do it.” Then I started losing weight. And then I went right back to eating whatever. So after getting on track, jumping off track, then getting back on track: I finally got on track and stayed on it. I avoided sugars, greasy foods, and starch. I began walking more and parking further away. Most of all, I used a form of psychological alchemy, and changed my thought patterns. No longer thinking of what I’d “like” to have, encouraging the temptation. So I had to defy myself. Inappropriate, that’s the word I was looking for! It was inappropriate for him to tell her that she’s responsible for the influence of little girls (which she is not) and it was equally as inappropriate for her to respond to him publicly on air, no less. She claimed that his words had no affect on her, but if that were true then she wouldn’t have called them “hurtful” it’s possible that she may be sensitive about her size, which is the opposite of self esteem. If your okay with being skinny, or okay with being fat, or okay with being chubby, or okay with being fit: then don’t let messages like that offend you. If you’re not okay with whatever you are, then be honest about it. Stop pretending to be confident if you aren’t actually confident. If she’s living and breathing and is content with her state of health whatever it may be, then she needn’t place any consideration on the words of others. I won’t patronize her as a victim because he did not attack her verbally. I remember being called names: that is hurtful. Imagine a someone refusing to go out with you because your heavier than they are: that is hurtful. Someone telling me “You’ve got to take care of yourself.” is not hurtful. And when I was told that, I did take offense to it but now, after maturing and gaining humility: I see that it was immature of me to take offense where there was none given. I was younger than she is when this happened, and I didn’t have a society of SJWs patronizers blow smoke for me. I had to develop true self confidence in knowing who I was on the inside. My spirit, my compassion, my humility, and my integrity. This entry was posted in Being Offensive, Body Shaming, Bullies, Fat Shaming, Humility, Obesity, Offended, Overly Sensitive, Personal Assessment, Selective Empathy, Self Confidence, Shallowness, Social Media Bulliying and tagged Cyber Bullying, Fat Shaming, Jennifer Livingston, Kenneth Krause, The Fear of Reproval on January 9, 2016 by BThePunisher. But let’s look at it from a different angle: is it healthy for them to discourage him from being who he really is? If a Male says “I want to be Female! I feel like I’m really Female.” Why wouldn’t we encourage Hume to be proud of what he is? In my Generation, Millennials, we were constantly told to “be yourself, without shame” and were often discouraged from trying to be something different. But now, we’re telling people that being something that we are not is okay because it’s what we want. Then we turn around and lambast Rachel Dolezal for wanting to be something she is not. Isn’t that hypocrisy? How do we decide what “transitioning” to encourage, and what to discourage? A fair question was raised, how can people support Bruce Jenner’s transitional efforts, but then cast aspersions on Rachel Dolezal for her efforts in Cultural & Racial transitioning? Does she not have the same right to self contentment as Mr. Jenner? This entry was posted in Egalitarianism, Gender Based Empathy, Hypocrisy, Parenting, Personal Assessment, Rachel Dolezal, Selective Empathy, Uncategorized and tagged Societal Hypocrisy, Transgender, Transitionalism on December 3, 2015 by BThePunisher. I understand what you mean by “Black Lives Matter” but the problem I have with that “movement” is the fact that it only came about, when a White person ended a Black life. Long before, Mr. Martin and Mr. Brown there were many Black men, women, and children who were victims of violence done by other Blacks. Not to mention the many lives that were ruined by drugs and real thuggery. I say “real thuggery” because I often hear (and read) conservatives calling any young Black male they see, a “thug”. Which is just their own bigoted-presumptuousness. Yes, Black lives matter: but the majority of Black lives are not being taken by White people, they’re being taken by other Black people. So efforts need to be focused in the right place. And stop getting offended when someone say “All lives matter.” because they do! All lives is all enclusive, that means it pertains to every skin tone. Black lives is exclusive, it pertains specifically to Blacks only. It may not’ve been intended that way but it is that way. If the gangs, the loiterers, the people who protested (and the others who rioted) would all get together and start cleaning up neighborhoods, rebuilding, and renovating Communities then a lot of problems could be fixed. This entry was posted in Race Relations, Racial Hypocrisy, Racially Based Double Standards, Selective Empathy and tagged All Lives Matter, Black Lives Matter, BLM, Double Standards, Race, Racial Hypocrisy on September 9, 2015 by BThePunisher. If I had a Transcript of Black Comedians, Black Rappers, & the average Black loiterer on any given Corner Store in this country: it would list that term being used 1,000 times more often than Mr. Bollea has ever even thought of using it. It would be hypocritical for me to condemn Hulk Hogan for using that term, when so many Blacks use it. And as for that “term of endearment” lie, let’s set that record straight: The term was created out of resentment, bigotry, prejudice, & mockery. To call yourself “reclaiming” it would be ignorant at best. Why would any self-respecting Black man, woman, or child wish to claim such a vile epithet? There are words within the bastardized English language that are more suitable to describe your beloved ones. You can drink Bleach from a bottle, or a Champagne glass: it has the same affect rather you recognize it or not. You are putting yourself down when you use it. Read the book ‘The Tavistock Institute of Human Relations’ by John Coleman to do some research on why many Blacks are willfully degredating Themselves. This entry was posted in Hypocrisy, Race Relations, Racial Hypocrisy, Racially Based Double Standards, Selective Empathy, Society's Habits, The N Word and tagged Double Standards, Racial Hypocrisy, The N Word on July 25, 2015 by BThePunisher. There has been a recent act of terrorism on American soil, in Charleston South Carolina. I would like to know why those same people aren’t referring to the terrorist now identified as Dylan Storm Roof, as “thug” or “animal”? Are those insults only reserved for Black people? This person has past Criminal Record, neither Treyvon Martin, nor Tamir Rice had any such record. Yet they were both referred to as “thugs” and shown great disregard. They’re parents were also called names and disrespected on Social Media. I have yet to read any disparaging remarks towards Roof’s parents, or his personal character. Why is it that people are saying this person is “troubled” or has psychological inconsistencies, but when there’s a Black woman who is shot in the face for asking for help, she’s presumed to have been “looking for trouble”? I saw a Black guy being interviewed on a popular Cable News Network, and he said “this is not about race” but the odd thing is: the perpetrator, the attacker, the very individual who executed this inhumane event, actually said the words “I’m here to shoot black people” so I’d say that it was racially-motivated. And why was this individual apprehended carefully and respectfully? Why wasn’t he fired-upon on sight? If a twelve-year old little guy was shot for wielding a Toy Gun (which he would’ve willfully relinquished, had he been instructed to do so) then certainly this twenty-one year old adult would’ve been treated the same, right? 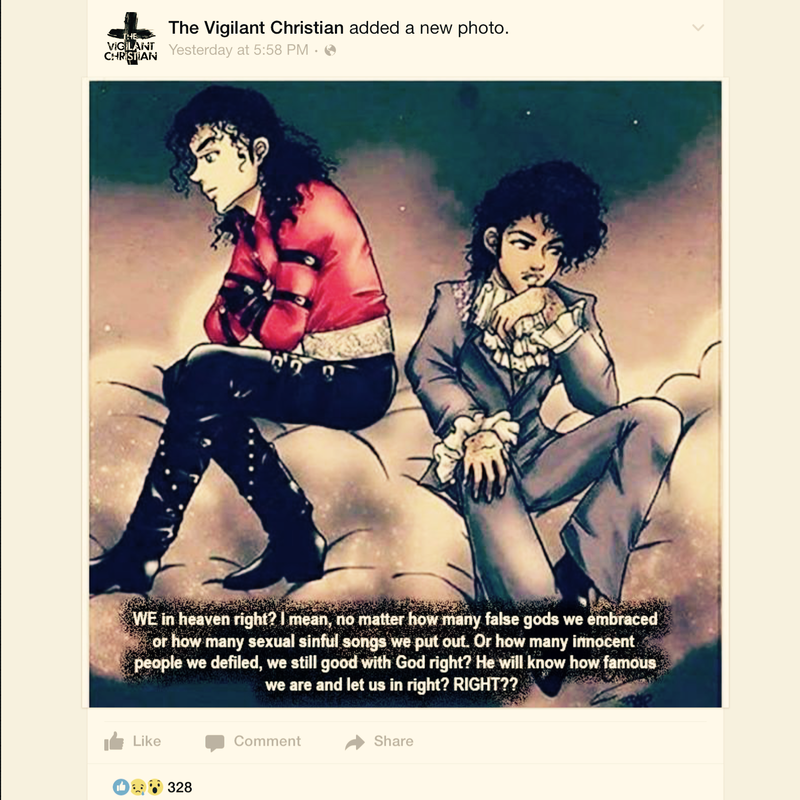 This entry was posted in Racial Hypocrisy, Racially Based Double Standards, Selective Empathy and tagged Charleston South Carolina, Dylan Storm Roof, Recent Shootings on June 18, 2015 by BThePunisher. Where were you guys when the black youth were being assaulted by other blacks? You say “black lives, matter” but it seems you only think they do when it’s white people taking them. That’s hypocrisy, that’s racial-hypocrisy. Only when a Drug-Dealer is viciously attacked, do the Rich Black “Heroes” come out of the proverbial woodwork & start speaking against violence in their community. Their so-called “community”, which really isn’t a community at all. An actual community bands together, builds, maintains, and progresses: those people where just a group who shared the same Melanin Content. I do not pretend that impoverished blacks are innocent, and I do not make excuses for their behavior. I grew up (for several years) in impoverishment, so I know how hard it is. But I chose humility over entitlement. More blacks kill, rob, attack, sexually-assault, & bully other blacks, than they do whites. So why doesn’t the Media cover black victims at the hands of black offenders, with such persistence? And the statistics for White people killed by police is actually higher. but they’re not publicized as widely by the race-dividing mainstream media. The propaganda in Mainstream Media is becoming evident, and once you learn the fact that it’s owned by Big Corporations then you understand how propagating certain stereotypes and agendas would be beneficial & profitable to those corporations. There are racist people out there, they come-in a variety of ethnicities or “colors” and yes, there are still old racist white people in charge of Law Enforcement, Corporations, and Institutions. But the average white person is not bigoted, prejudice, or racist. Facebook is where I encounter most of them, and it’s only on specific Political Facebook Pages to be exact. This entry was posted in Hypocrisy, Racially Based Double Standards, Selective Empathy and tagged All Lives Matter, Black Lives Matter, BLM, Media Manipulation, Racial Hypocrisy, Selective Empathy on May 1, 2015 by BThePunisher.